LARGE LEVEL LOT WAITING FOR YOUR NEW MANUFACTURED OR STICK BUILT HOME. 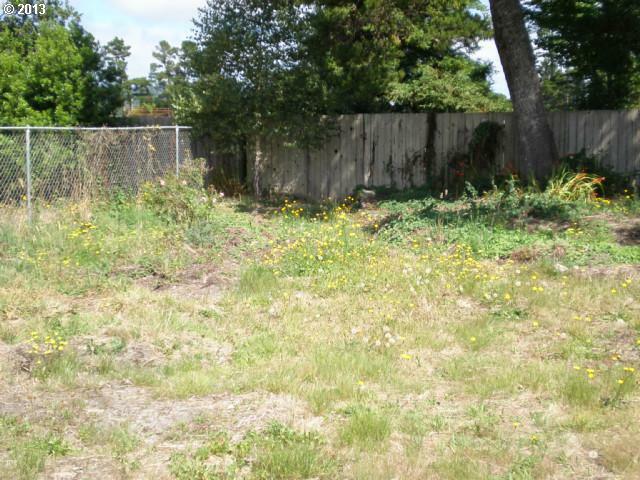 ALMOST 1/4 ACRE RIGHT IN THE HEART OF THE CITY ON A QUIET DEAD END STREET. NEAR HISTORIC OLD TOWN, SIUSLAW RIVER, OCEAN BEACHES, LAKES AND DUNES. WATER AND SEWER ARE ALREADY IN AND POWER IS AT THE STREET. OWNER MAY CARRY WITH $15, 000 DOWN BALANCE AT 6% APR AMORTIZED OVER 15 YEARS ALL DUE IN 5 YEARS.